Day 2 – Part 2! 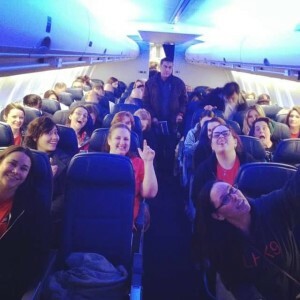 On the other side of the state, Group 2 headed east… to West Memphis! And yes, it is west of Memphis, on the western side of the Mississippi River. We met Cassie, an Arkansas foster who volunteers at the West Memphis shelter, before sunrise in Little Rock at 6 am! Cassie got involved at West Memphis because she had to stay overnight there for work from time to time and decided volunteering was better than sitting around her hotel room. From there the Group 2 vans followed Cassie two hours east to the shelter. When we arrived the day was already warming and the sun was filtered between clouds, and the shelter had a cherry red trim and welcoming sign. There were puppies out front to greet us that were going to another rescue later in the afternoon! We all gathered for a morning talk with Kerry, the shelter director, then she had us take all of the dogs out in the big fenced in yard areas for walks and play time. The dogs were all beautiful and well behaved, and loved hanging out with us in the sun. 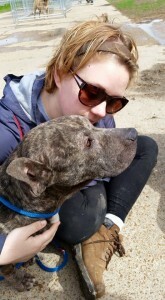 There were a quite a few sobering moments, like how many dogs test positive for heartworm (all but three when we were there), and meeting an amazingly sweet older pit bull named Maude who we knew had had an incredibly hard life. A few of us washed the fluffy puppies (and of course had to hold them while they dried), and then we had sandwiches for lunch and discussed the afternoon.The kennels outside needed to be painted so they would be brighter and more welcoming for people looking to adopt dogs, so we moved all of the dogs out of the kennels to the ones in the yard area, then split up into three painting teams to tackle the walls! We were able to completely finish four of the kennels, making sure to sing and dance to motivate ourselves. Meeting everyone from West Memphis animal control and seeing how much care they give the dogs, and being able to help them with anything they needed for the day, was truly rewarding. At the end of the day, we were able to take Chico, a ten pound Yorkie mix who was surrendered that morning, with us to a foster home. He’ll hopefully be coming home with us to Massachusetts on Monday! On the way home a few of us took a detour through Memphis to gaze upon the mighty Mississippi before heading back to Little Rock for a dinner party thrown by Charlotte, one of our hosts! Day 2 – Part 1! An amazing day one was in the books!! As I opened my eyes on Friday morning, I had no idea what was in store…what dogs would we meet? Which of our Southern partners would we get to spend the say with? What would we be doing? As my three van-mates and I pulled into the parking lot at the first shelter, I had no idea how life changing the day would be for me, as a dog lover, a dog mom, a rescuer…and a human being. Stuttgart Animal Shelter: Our time spent at Stuttgart was one of my favorite parts of the trip. Situated in rural Stuttgart, AR, the shelter was set back from the road nearby to other public works buildings. The shelter itself had drawings of dogs and welcome messages painted on the outside of the building; as we entered the shelter to the laughter of the shelter workers and volunteers, the love, commitment and dedication this group shows to the precious souls in their care, day in day out, on weekends, holidays and everyday in between is nothing short of extraordinary. 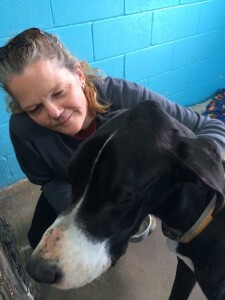 Being in the shelter I felt a warmth and an instant camaraderie…I felt home. Our agenda for the day included cleaning kennels, working with contractors to build shelving and a ramp in the dog’s washroom, cleaning and reorganizing portions of the shelter itself, remodeling/renovating the laundry room and (perhaps my most favorite item on the list) loving on and working with the dogs. As the resident crazy Lab lady, I think these photos speak for themselves! 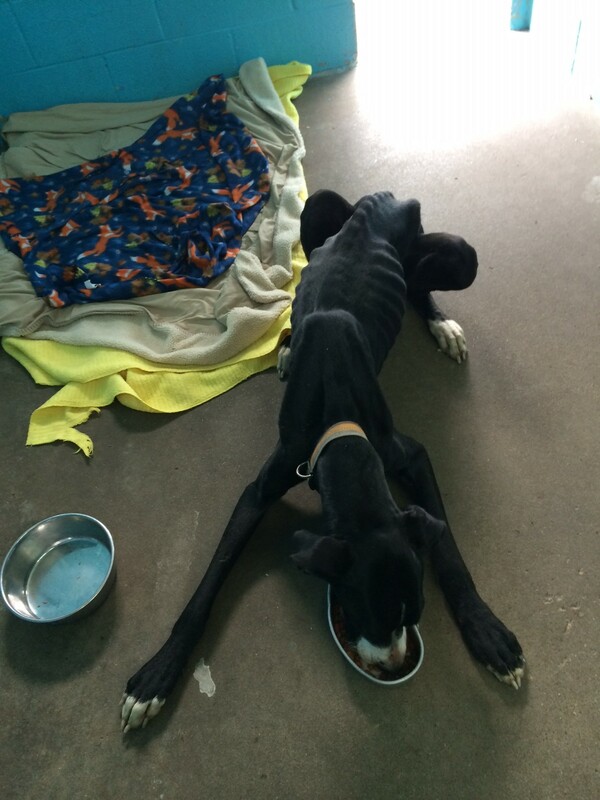 Another very special dog that captured my heart was Sheeley, a very sweet but very timid and very emaciated Great Dane. This gorgeous girl is a testament to the resilience of the canine spirit; despite the hardship she has endured, Sheeley still had love and warmth in those beautiful eyes of hers. 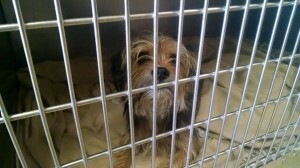 Hazen Animal Shelter: One of the toughest shelters to visit in person was Hazen Animal Shelter. Located in a small, rural town, the shelter itself is a series of outdoor kennels in a large field with little to no protection from sun, rain, wind or the elements. One of the key initiatives of the fundraiser for this trip was to purchase supplies so that a contractor could build a wall to provide the dogs some protection. 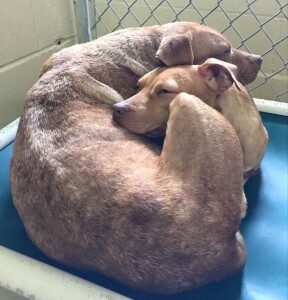 There is no shelter office and while someone does come by twice per day to feed the dogs and exercise them, they spend the vast majority of their time alone…away from each other and largely away from human contact. Dozens of thoughts flooded my mind. What happens if the dogs get sick? Don’t they get lonely? 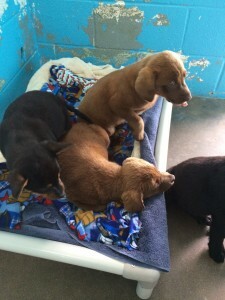 Three dogs called the Hazen Shelter their home—a black Lab mix puppy, a 4-year-old Curr mix boy and an adult Chihuahua who was very pregnant. The expectant momma was brought to the vet and we spent time playing with and loving on the two other babies, giving them as much opportunity to run and stretch their legs as we could. We put them back in their kennels before we left; as a Team there wasn’t a dry eye in the house, all of us making promises to do anything and everything we could to help get these babies on the road to their happily FURever afters. Little did we know, less than 24 hours later, we would be able to make good on those promises. Today was the first day of an adventure that myself, and many others, have been waiting to start for a long time. Months ago the process of planning this trip began and, since then, we’ve all been waiting with anticipation for this day to come. I hope you enjoy hearing about some of the highlights from our first day from my point of view. Transport: Our first assignment on our first day was to meet for transport in Little Rock. Each week somewhere between 15 and 25 dogs are transported on the rescue road from Arkansas to New England where they will find their FURever homes. Usually, Last Hope volunteers and fosters pick up dogs in New England but today we had the unique opportunity to see what things are like on the other side. We arrived in the early hours of the morning to see Arkansas fosters already waiting with their pups. 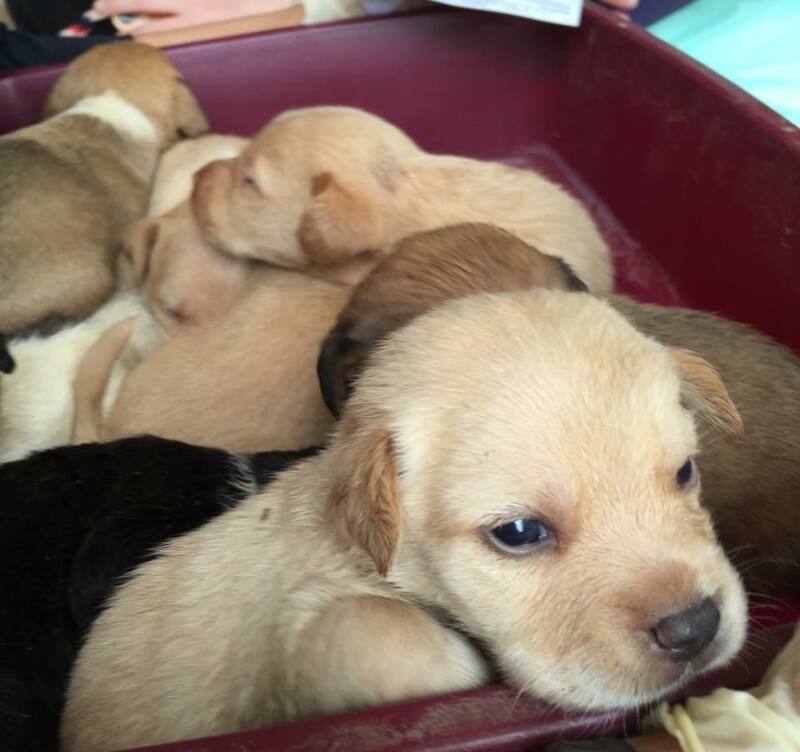 Transport comes with a lot of tears and some fosters were already getting teary-eyed. 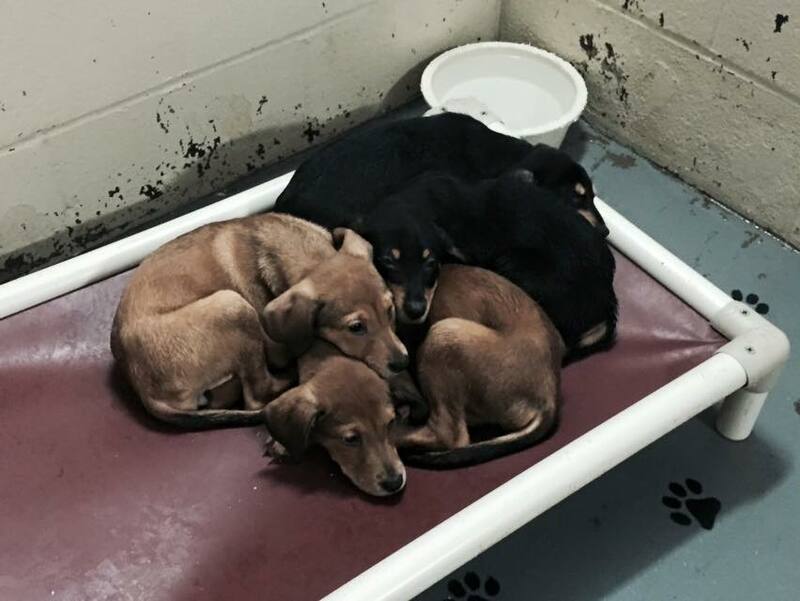 The Arkansas fosters are just amazing because they see these dogs at their worst in the shelter, rescue them and welcome them into their home, only to have to load them up and send them on their long journey to New England just a few weeks or months later. Thinking about this made me realize, more than ever, how important the work we do in New England is. North Little Rock Animal Control: Our group had the task of buying some leashes and food to donate to local Arkansas shelters and then we were on our way to our second stop, North Little Rock Animal Control. Since we had stopped for supplies, our group didn’t have too much time there but we got a nice tour of the facilities. Although it was hard to see such sweet dog faces behind bars, I was encouraged to see a whole area of the facility designated for dogs that had already been claimed by rescue organizations. I was also excited to hear that Southern Paws Transport and Last Hope had already committed to saving several of the dogs there! After this good news, it was time for us to our next destination, Warren. Warren: Warren was a small shelter and our group was just stopping by there before our next assignment at Pine Bluff Animal Control. Our other group of volunteers would be staying at Warren for the afternoon to work on some projects they needed help with. 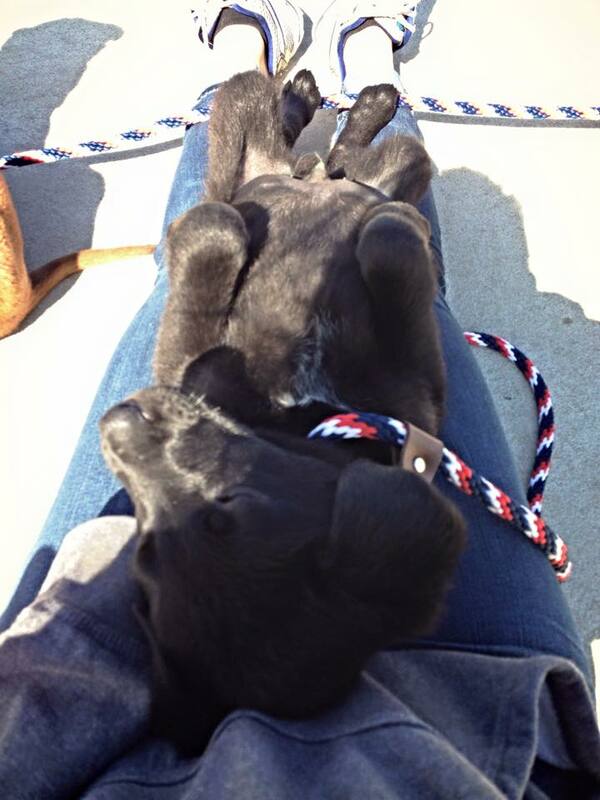 I immediately gravitated to one of the puppies at the shelter there. I had the joy of being able to get this puppy out of his cage and let him run around in the grass on his leash! 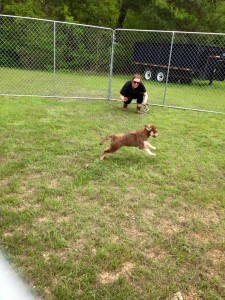 It was amazing to see him get to frolic around and just be a puppy! 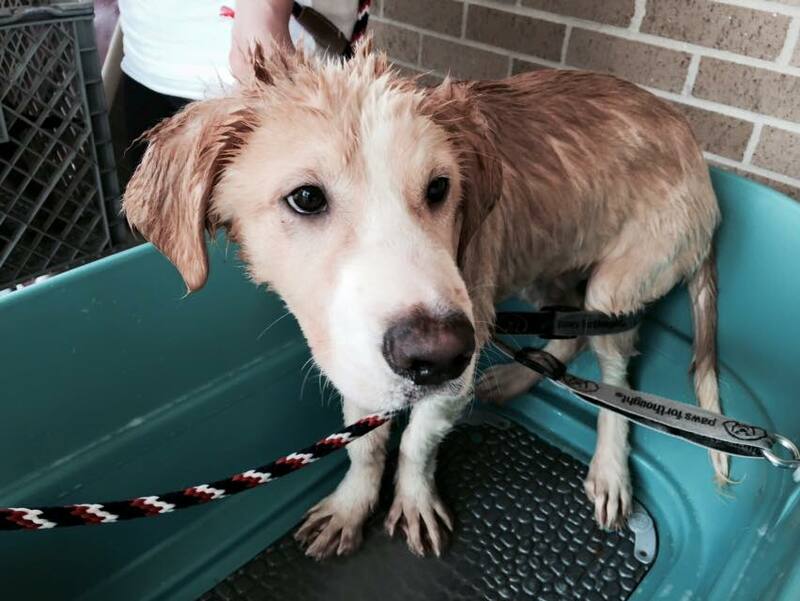 Before too long, our group had to leave to go to Pine Bluff so I handed the puppy off to some other volunteers who gave him a bath. Later, I saw pictures of a pen the other group of volunteers had built and that same sweet puppy was off leash running around happily! Pine Bluff Animal Control: Our last assignment of the day was at Pine Bluff Animal Control. We were excited to receive a warm welcome from volunteers and staff there, they even made us a sign and gave us goody bags! Being at Pine Bluff was a fantastic experience because we got to spend a lot of time there and I feel like even though were only there for the day, we were able to help a lot. The shelter staff, particularly Officer Stewart, and the volunteers do an amazing job with the limited resources they have and they were so very appreciative to have us there to volunteer. We spent hours moving dogs out of cages, giving the dogs baths and getting photos of the dogs. Getting good photos of the dogs is so important and really improves their chances of getting adopted. 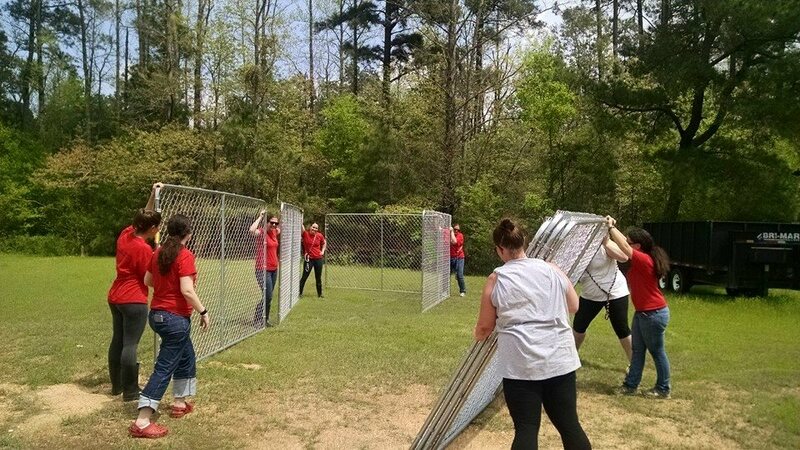 While the dogs were out of their cages, volunteers thoroughly cleaned their cages and set up fresh water bowls for them. 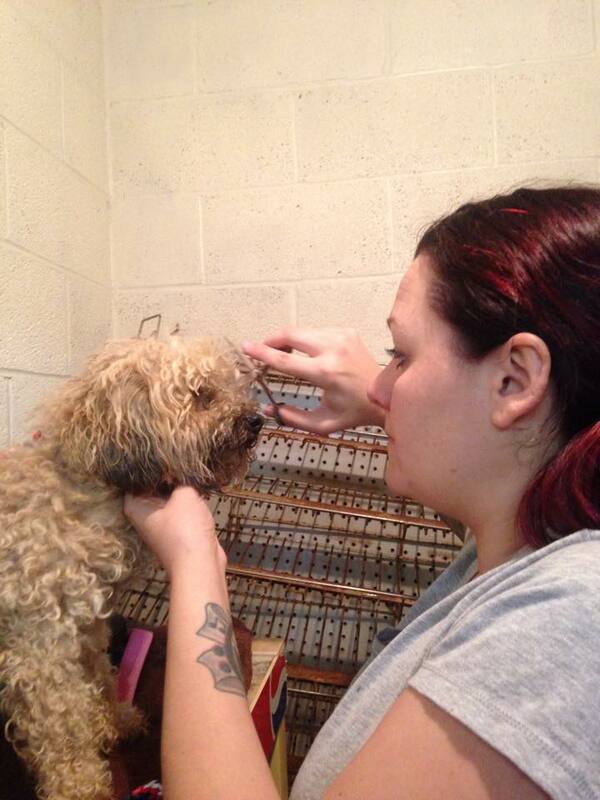 After baths and photos, we gave the dogs a chance to run around and gave them lots of cuddles and love. Normally, this busy shelter has a limited number of volunteers (that have other jobs and commitments!) and staff so there is only so much work they can do. However, with such a large group of volunteers, we were able to help them out a lot! What amazed me most though was the dedication of staff and volunteers there. 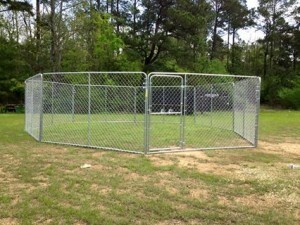 This is an area of Arkansas that has a lot of dogs, mostly strays, so this shelter has a very high intake of dogs. Despite this, Officer Stewart and the staff and volunteers there have been able to reduce the kill rate at this shelter from 100% to around 20%! It won’t stop at 20% though, they want to keep reducing it everyday until every dog can be spared. I just couldn’t get over how amazing these people were and how much they cared about these dogs. I just wish I could go back every week (or every day!) and volunteer. With such rewarding experience on our first day here, I can wait to see what new experiences tomorrow will bring! It’s so much fun to be writing Last Hope K9 Rescue’s first official blog from 36,000 feet in the air! 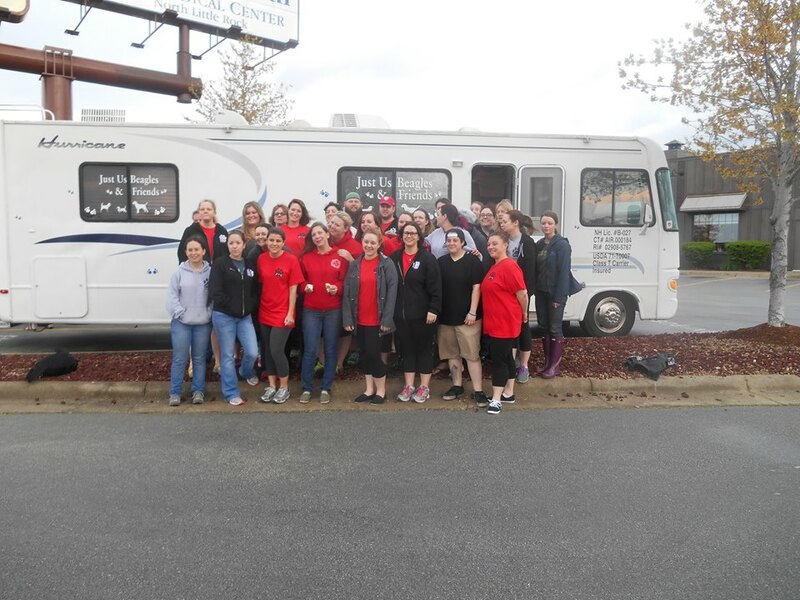 29 LHK9 volunteers (who have each paid their own way) are on our way to Little Rock, Arkansas for our 3rd annual service trip to give volunteers the opportunity to see where the thousands of dogs we’ve helped find FURever homes start their journey. 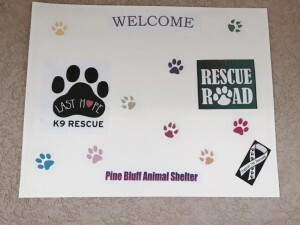 The North/South connection between LHK9, our “sister” organization Rescue Road, and our partner shelters in AR has become such an amazingly strong and close knit group. The individuals involved have become family even though we are 1,300 miles apart and only see each other once or twice a year. When we talk to family members, friends, co-workers, or even people we just met in the airport or on the plan, everyone is so happy to hear the details about our organization as a whole and certainly about this trip. They love hearing how we are an all-volunteer run organization with little overhead costs, and at only 3 years old are able to save approximately 1,000 dogs in a year. We are all VERY proud of the organization we’ve built..
As we like to say, “it takes a village”, the 30 individuals who volunteer up to 40 hours a week as coordinators on top of their day jobs are only the beginning. None of what we do would be possible without the ever growing and crucial foster network, who are the backbone of the organization. 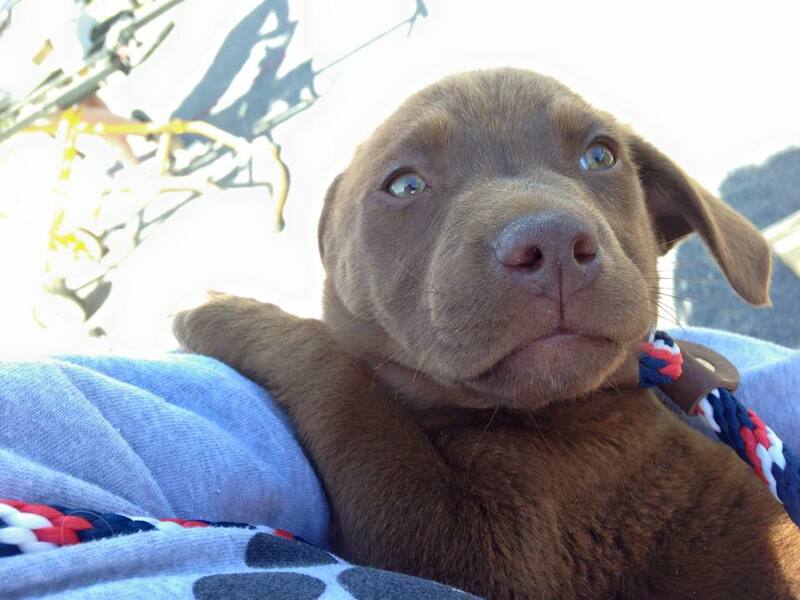 As we don’t have a brick and mortar facility, we simply couldn’t survive without our fosters. Then, there are the approximately 400 active volunteers who help process about 500 adoption and foster applications a month, volunteer at weekly events, train our dogs, and transport the pups to and from events…just to name a few. To sum it up, we have one hell of an amazing volunteer network that keeps this train running and each volunteer contributes to saving the lives of thousands of dogs. So what’s this trip all about? Well, there will be some great “socializing”…don’t think we won’t find time to have fun! We have to get to know our southern family better, right?! More importantly, we will be visiting the nine shelters from which we pull our dogs and work with the rescue shelter leads and AR volunteers to not only bathe, vaccinate, medically test, and temperament assess the dogs in their care…but where allowed, we will also be leaving a little LHK9 touch on each shelter. 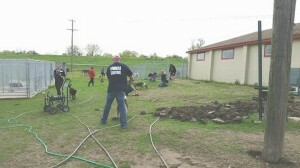 At some shelters we’ll do landscaping and painting, at another we’ll remodel the dog bathing area. The biggest project of them all will be at a completely outdoor shelter with no protection from that brutal AR sun; we will create a structure to keep direct sunlight off of the dogs. It will be both a physically and emotionally draining week for everyone involved…but the lessons we’ll learn and the understanding we’ll gain by seeing where our dogs’ journeys begin will only make us stronger and more passionate in what we do. Thank you so much for your support thus far, and we hope to continue to receive your support in the future as we continue our journey to find FURever homes for as many helpless dogs in need as we can. Throughout the week we’ll be sure to keep everyone updated on our progress, so please be sure to check back here as different volunteers will blog about their experiences from their point of view. We are excited to begin using this platform to further educate our followers on the important work that Last Hope K9 Rescue (LHK9) does. Our hope is to feature various “guest bloggers” from within our organization to be able to show different perspectives from so many integral people: coordinators, fosters, volunteers, adopters, and our partners in Arkansas. From stories of heartbreaking rescues, to happy endings, to the frustrations many rescuers feel when trying to explain their passion to “non-rescuers”, to the struggles many of our fosters face and the valuable lessons they and their families learn, we hope this blog will be eye-opening for our readers.